At SGS, we have taken DNA-based testing methods and turned them into a powerful tool for food analysis, the identification of ingredients, pathogens, allergens and potential adulteration, even in highly transformed (processed) food products. NGS allows untargeted detection of thousands of organisms with no requirement for previous knowledge of the supply chain, or about the species to search for. Building on traditional DNA test methods, we have developed a unique workflow that combines a broad range of short DNA fragments with PCR amplification to guarantee the detection of thousands of species, including pathogens. Additionally, this technology offers a truly effective untargeted method of identifying the presence of allergens in food products. The DNA fragments obtained are sequenced using the NGS approach to obtain thousands of DNA sequences for each different species present in a sample. The fragments we use are very short to maximize success in even highly processed food products, such as canned food and animal feed. This workflow means food products can be analyzed for almost all types of organisms including meat, fish, seafood, plants and microbes. Complementing this workflow, our competence center in molecular biology has developed a unique database containing DNA sequences for thousands of species. When used in combination with this database, which is constantly updated with new sequences, NGS technology becomes a powerful tool. All Species ID delivers untargeted DNA identification, as well as a DNA extraction process that can extract fragments as small as 100bp and still identify the species it relates to. In fact it is such a powerful tool that virtually any kind of food product can be analyzed, as long as it still contains DNA. This capability marks a real step change in the way food authenticity can be verified. NGS technology and testing in combination with our database offers a unique and hugely powerful solution. 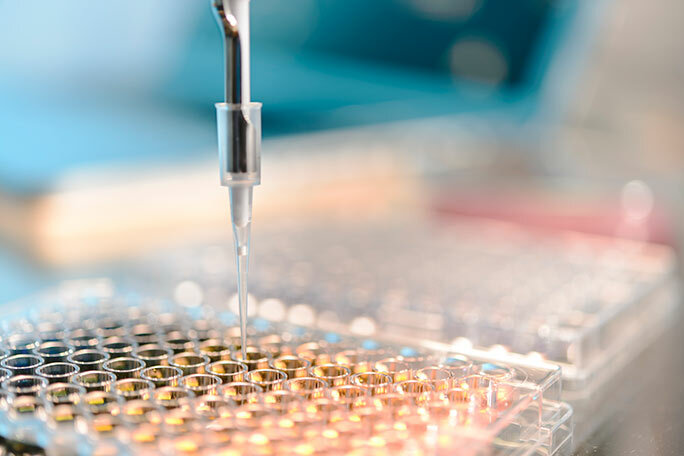 Our specialist molecular laboratories accept samples from around the world, supporting food and feed businesses to identify all the species present in food and feed samples, as well as pathogens and allergens. For organizations with in-house capabilities, we have also developed a range of All Species ID test kits. The All Species Meat Analyzer, Fish Analyzer and Plant Analyzer give you the same testing capabilities and access to our extensive databases of DNA sequences for many thousands of species. All Species ID test kit users benefit from the constant evolution of this new and innovative database as our competence center adds new sequences on a regular basis. Supporting the above services, we also provide training courses to ensure your team has the skills and expertise to prepare samples for external testing, or conduct testing and evaluation in-house. In light of recent food scandals, All Species ID allows you to identify all the species present in a food sample without any prior knowledge of the species to be searched for. This is particularly useful for the detection of potential ingredients and as a deterrent to economically motivated adulteration. Beyond species identification, All Species ID testing can deliver a truly untargeted test method for allergens. This can minimize the risk of products containing undeclared allergens reaching market, protecting your business and consumers. Next Generation Sequencing is already in use by the food industry. All Species ID takes this to another level, with the most sensitive testing (including Limits of Detection similar to, or lower than, those for PCR) and the most comprehensive DNA sequence databases. Find out how All Species ID can help to meet your needs. The food sector is entering as new era for traceability, safety and authenticity. In its latest white paper SGS explores the topic of DNA-based test methods including Next Generation Sequencing (NGS).